Among the most well-known authors of the last Lost Generation is, of course, Hemingway. 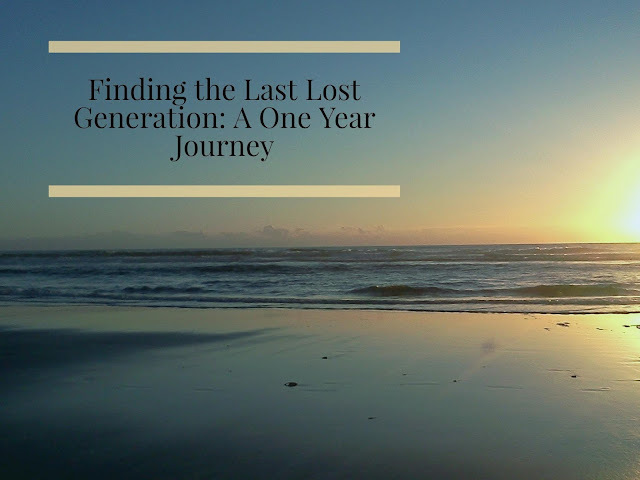 In my one-year journey of finding the last Lost Generation, I hope to bring to light what he and many other of those writers have to tell us about our present situation - the world of the 2010s. 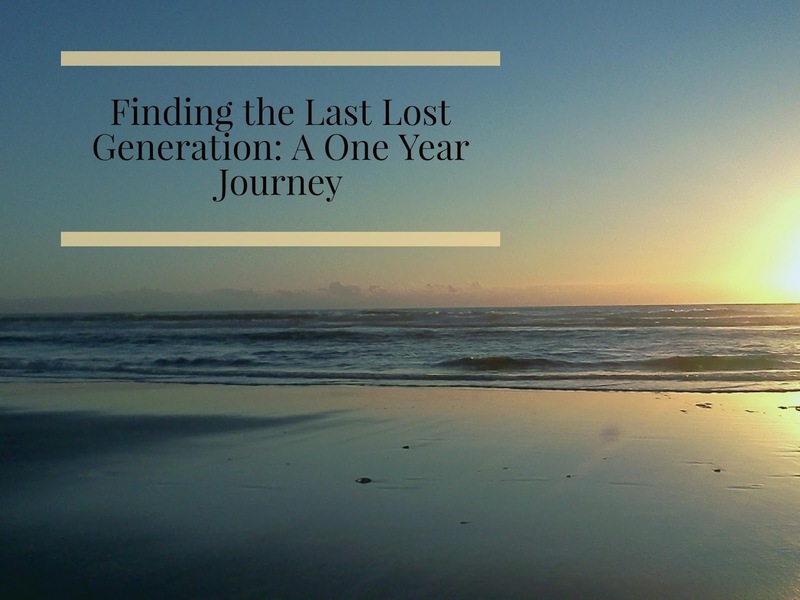 Because Gen X is also considered a Lost Generation, I am especially interested in what they have to say to us. One place I am going on this journey is to the pages of classic books where they consciously left their wisdom for us in print. After all, as Carl Sagan said, "Books break the shackles of time..."
"One generation passeth away, and another generation cometh; but the earth abideth forever....The sun also ariseth, and the sun goeth down, and hasteth to the place where he arose....The wind goeth toward the south, and turneth about unto the north; it whirleth about continually, and the wind returneth again according to his circuits....All the rivers run into the sea; yet the sea is not full; unto the place from whence the rivers come, thither they return again." There is something of a cosmic connection between my life as a Gen Xer and Hemingway, because my great grandmother (who was one of my main connections from the last Lost Generation) and Hemingway were born only a couple of hours and months apart. What is fascinating to me as a generational writer is that as a child, I was held in the embrace of both maternal and paternal great-grandparents - people born in the 1890s or very soon after, and when I hold my daughter who was born after the millennium, I sometimes pause and feel amazed at the fact that my skin has felt the embrace of people who came from three separate centuries. Within Hemingway's stories are those deeply affected by WWI; those trying to not remember it. After the war, there is this partying and bar-hopping lifestyle that many younger people took on as they attempted to blot out the bad memories of the war. With that lifestyle came this futility, this lack of joy, a realization that excess leads to nowhere. That may be one of the biggest similarities between the current Lost Generation and the last one: a need to blot out the bad memories. To borrow from another Hemingway book that many of us read in high school, A Farewell to Arms, a story about the young men of WWI, "They were beaten to start with. They were beaten when they took them from their farms and put them in the army. That is why the peasant has wisdom, because he is defeated from the start. Put him in power and see how wise he is." The deep discontent of the last Lost Generation resonates with the current one, with Generation X. Society frayed apart throughout our entire youth, more subtly than it did during WWI, but it crumbled, and it left many of us bitter and cynical. In many cases, it also made us wise. In The Sun Also Rises, a character says, "Don't you ever get the feeling that all your life is going by and you're not taking advantage of it? Do you realize you've lived nearly half the time you have to live already?" This is the last time I'll read Hemingway. While our youth is full of firsts, once we reach middle age, we begin to experience all of our lasts. 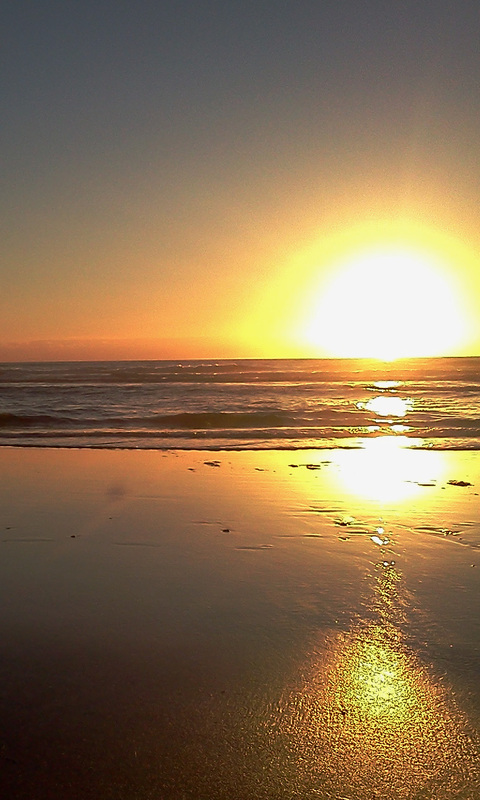 His words often make me feel like I am standing, completely alone at an empty beach and the person who was supposed to meet there to watch the sunset with me never showed up. Sometimes, the only hope we have when we are standing completely alone on the shore is that if yesterday was not what we hoped it would be, and if today was even worse, the sun will rise again tomorrow.